In 2010, the Nez Perce County Board of Commissioners (in Idaho) resolved to create a Continuity Planning Team to write a comprehensive local plan to carry out the objectives and directives of national contingency plans — to maintain civil order and ensure essential services continue operations — in the event of a national emergency. In a catastrophic event, stress levels will be high and time of the essence. 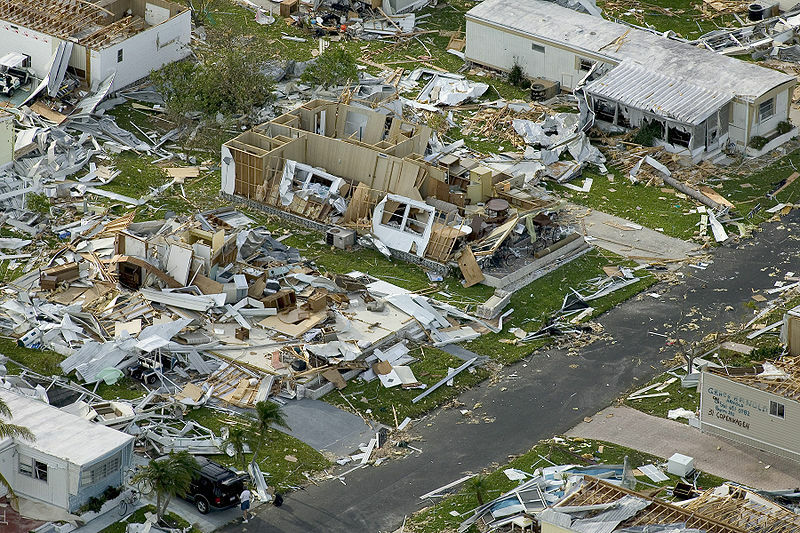 Chief elected officials and Annex leads will need essential information in concise format to be able to act quickly and decisively in a disaster. Nez Perce has posted a draft of their contingency plan focusing on effective local government response to a catastrophic event of any kind. This COOP plan is about getting the 90% of people who have not prepared safely through the dangerous transition period, until relative stability is achieved. This contingency plan would only be implemented during an event of national significance where federal response may not be available for an extended period of time. Local jurisdictions will use their standard Local Emergency Operations Plans for traditional disasters. Nez Perce officials are encouraging public input and participation by public safety agencies and citizens to promote interagency cooperation and whole community involvement in emergency management. Sensitive information is intentionally omitted from this plan to allow public participation. We encourage everyone to read their “About this Site” (PDF) first followed by the “Base Plan” (PDF) to understand the context of the plan, then review Annexes A thru P for details about Governance, Food, Law Enforcement and Security, Water Treatment, Energy, Healthcare, Communications, Shelters, Neighborhood Emergency Teams and much more. Learn more at www.CatastrophicResponse.org . According to the NOAA National Weather Service, a coastal storm is expected to impact the mid-Atlantic and Northeast beginning after midnight Tuesday night and continue through Thursday night, with clearing expected by Friday. Impacts to the effected regions include: strong gusty northerly winds of 20-30 mph with gusts of 40-45 mph, rain of 1 to 2.5 inches along the coast, with lesser amounts inland possible, light wintry precipitation is possible inland, and coastal flooding/beach erosion along the east coast including areas already ravaged by Sandy. 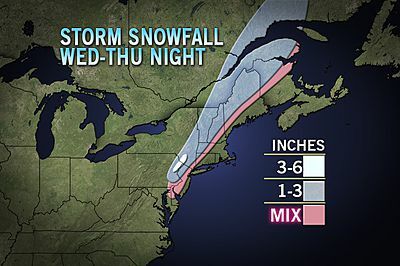 AccuWeather.com is predicting temperatures may even be cold enough for some wet snow to mix in as far south as Philadelphia and Wilmington, DE, for a time Wednesday into Wednesday evening. And reports today indicate the storm is veering a bit away from NJ coastlines, but they still may get some high winds and minor storm surges. People in the affected area should monitor NOAA weather radio and local news reports for the latest storm conditions and take the necessary precautions to keep safe. Do not enter a building when the smell of natural gas is detected. Leave the building immediately and contact the fire department. Alternative heaters need their space. Keep anything that can burn at least 3 feet away. Make sure wood stoves are properly operating, and at least 3 feet away from anything that can burn. Ensure they have the proper floor support and adequate ventilation. Use a glass or metal screen in front of your fireplace to prevent sparks from igniting nearby carpets, furniture or other items that can burn. Place space heaters on a floor that is flat and level. Do not put space heaters on rugs or carpets. Keep the heater at least three feet from bedding, drapes, furniture and other items that can burn; and place space heaters out of the flow of foot traffic. Keep children and pets away from space heaters. To prevent the risk of fire, NEVER leave a space heater on when you go to sleep or place a space heater close to any sleeping person. Turn the heater off when you leave the area. Open the fireplace damper before lighting a fire, and keep it open until the ashes are cool. An open damper may help prevent build-up of poisonous gases inside the home. Store fireplace ashes in a fire-resistant container, and cover the container with a lid. Keep the container outdoors and away from combustibles. Dispose of ashes carefully, keeping them away from dry leaves, trash or other items that can burn. Never bring gasoline into a building. Schedule a yearly professional inspection of all fuel-burning home heating systems, including furnaces, boilers, fireplaces, wood stoves, water heaters, chimneys, flues and vents. NEVER operate a portable gasoline-powered generator in an enclosed space, such as a garage, shed, or crawlspace, or in the home. Keep portable generators as far away from your home and your neighbors’ homes as possible – away from open doors, windows or vents that could allow deadly carbon monoxide into the home. When purchasing a space heater, ask the salesperson whether the heater has been safety-certified. A certified heater has a safety certification mark. These heaters have the most up-to-date safety features. An unvented gas space heater that meets current safety standards will shut off if oxygen levels fall too low. Do not use portable propane space heaters indoors or in any confined space, unless they are designed specifically for indoor use. Always follow the manufacturer’s directions for proper use. Never use gas or electric stoves to heat the home. They are not intended for that purpose and can pose a CO or fire hazard. You are currently browsing the Fedhealth blog blog archives for November, 2012.